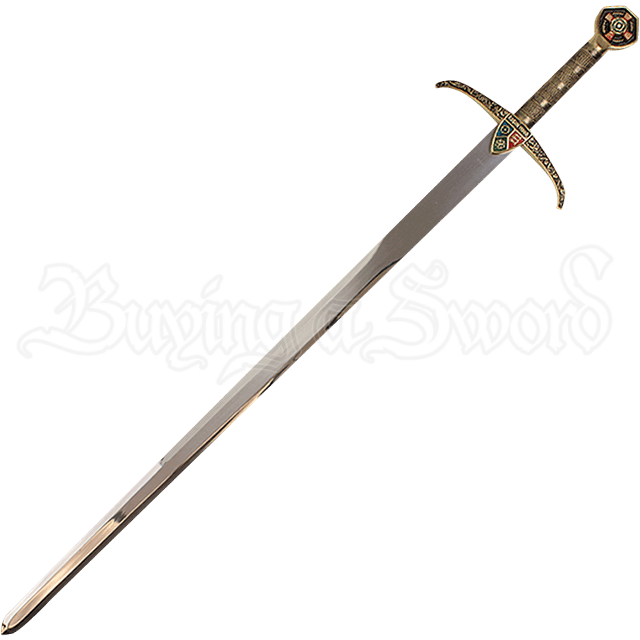 Inspired by the heroic outlaw of legend, the Robin Hood Sword with Plaque is a stainless steel medieval blade made ornate through shield details on its guard and pommel. Antique brass finishing lends rugged regality to the hilt. This decorative medieval sword showcases a triangular shield at the guard, between two arms that curve slightly upwards towards the blade. The name Robin Hood appears just above this colorful detail. Striped with different textures to help create a firm hold, the grip is treated with antique finishing for an authentic vintage look. Similar to a rounded hexagon in shape, the pommel is adorned with a unique emblem that displays a flower over a cross. Intricately detailed with attention to medieval style, this decorative Robin Hood sword comes with a matching wooden wall plaque for easy display. 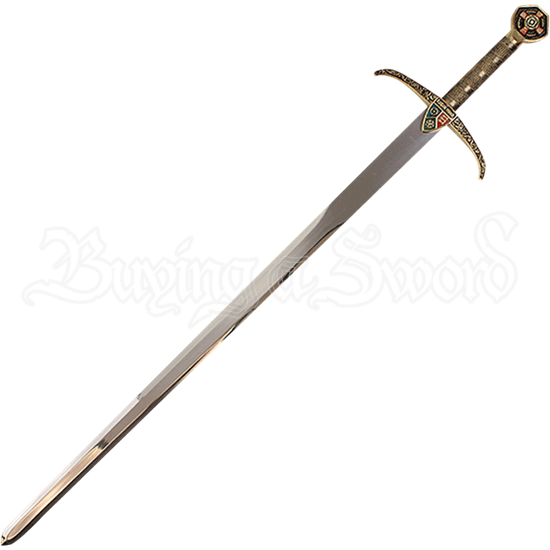 Add this legendary medieval blade to your collection of weapons, or display it with pride as a conversation piece in your home.